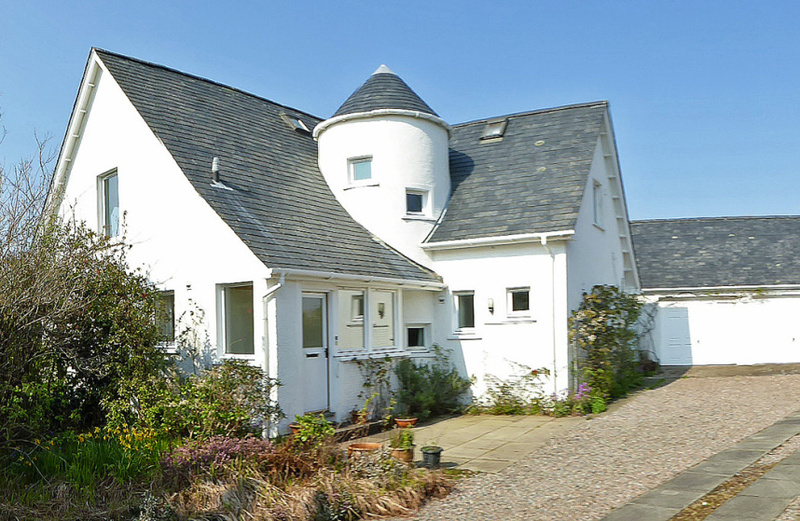 HOME REPORT VALUATION OF £360,000! 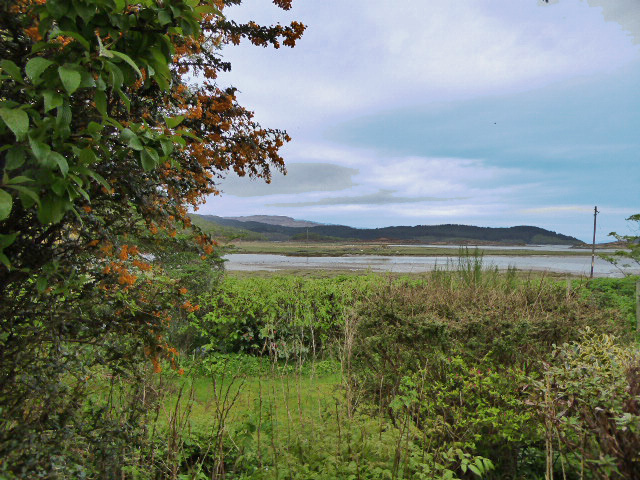 This delightful property enjoys views over Kentra Bay, the Isles of Eigg and Muck and forms a fantastic family home, an idyllic holiday retreat, as well as an excellent business opportunity for the buoyant holiday letting market. 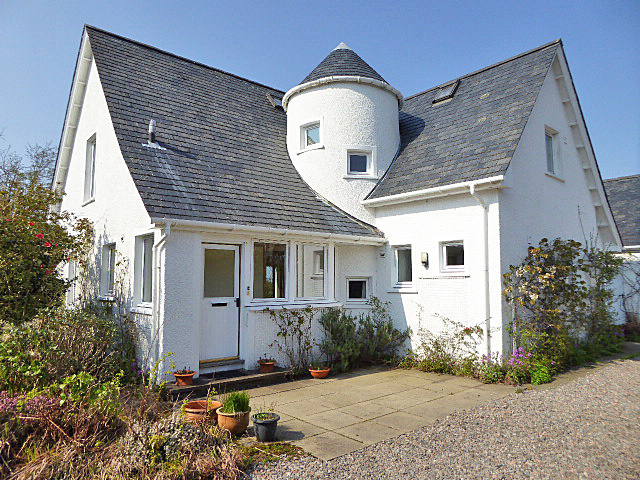 This spacious, four bed-roomed detached property spans approximately 195 square meters and benefits from double glazing, oil fired heating + multi-fuel stove, significant storage with built in wardrobes to each of the bedrooms. The en-suites and family bathroom could benefit from modernization although each suite is well equipped with Jacuzzi bath and hand shower attachment, wash hand basin with storage unit below, W.C and heated towel rail. 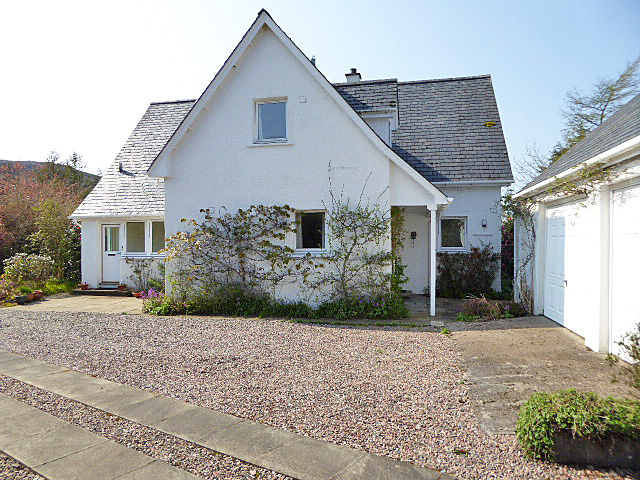 There is a detached 1Â½ storey garage with development potential (with the necessary and relevant planning permissions) additional off-road parking and a beautiful well-tended garden. 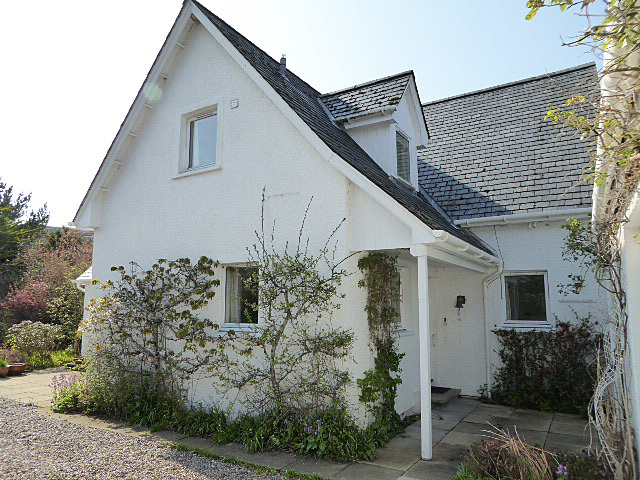 This delightful property enjoys views over Kentra Bay, the Isles of Eigg and Muck and forms a fantastic family home, an idyllic holiday retreat, as well as an excellent business opportunity for the buoyant holiday letting market. 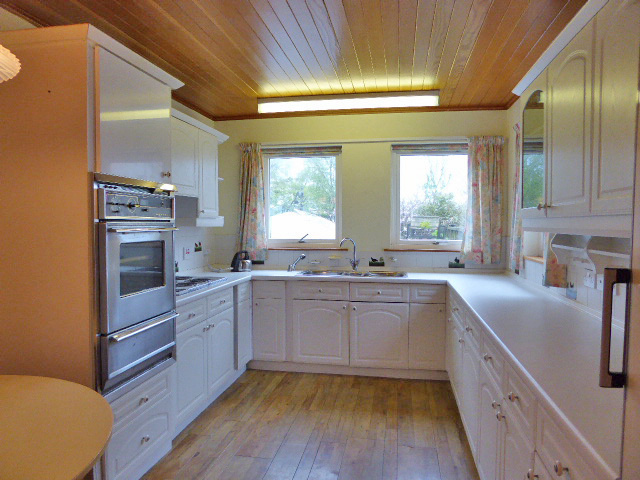 This spacious, four bed-roomed detached property spans approximately 195 square meters and benefits from double glazing, oil fired heating + multi-fuel stove, significant storage with built in wardrobes to each of the bedrooms. The en-suites and family bathroom could benefit from modernization although each suite is well equipped with Jacuzzi bath and hand shower attachment, wash hand basin with storage unit below, W.C and heated towel rail. 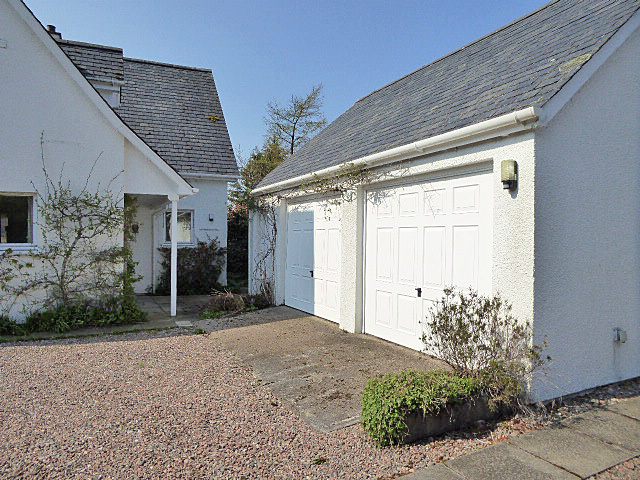 There is a detached garage with development potential (with the necessary and relevant planning permissions) additional off-road parking and a beautiful well-tended garden. 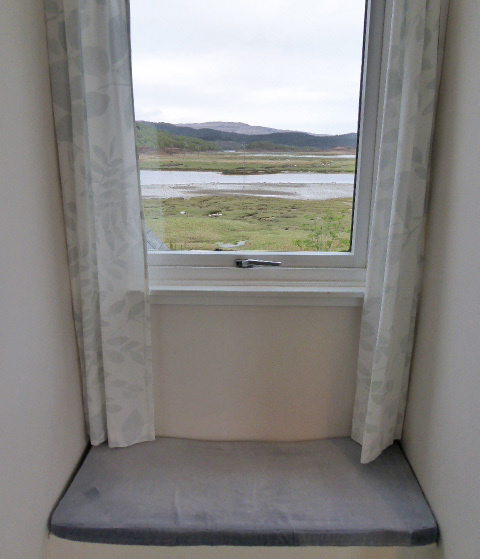 LOCATION/AMENITIES: Situated in an idyllic and enviable location, set amidst some of the finest scenery on the West Coast of Scotland's, Ardnamurchan Peninsula. 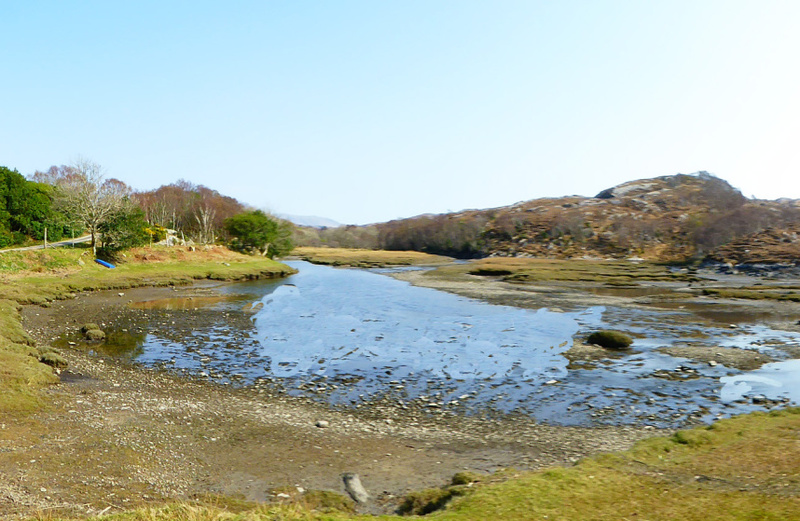 Tucked away in the secluded and tranquil hamlet of Arivegaig, Acharacle. 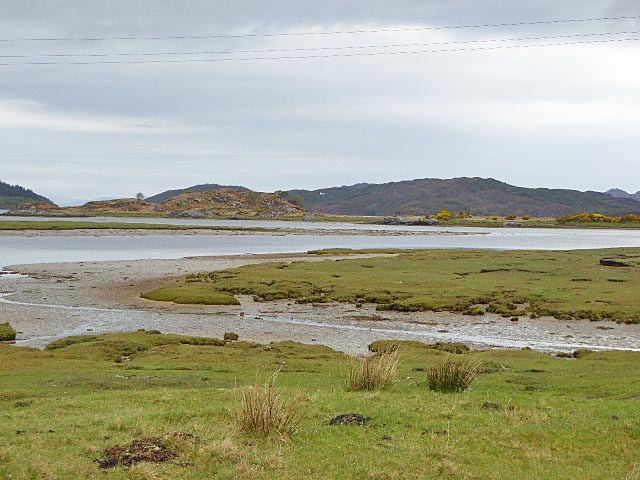 Surrounded by stunning mountain scenery and an abundance of wildlife with pine marten, otter, the majestic red deer, golden and white-tailed sea eagles all in the vicinity. 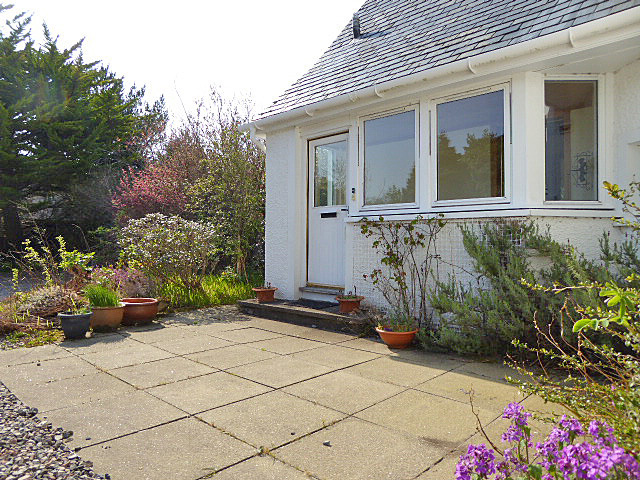 Arivegaig is located close to the glorious Kentra Bay, approximately 2 miles from the main village of Acharacle and provides the perfect base for exploring the area. There are lots of historic sites, beaches and castles nearby as well as it being accessible to the Isles Mull. 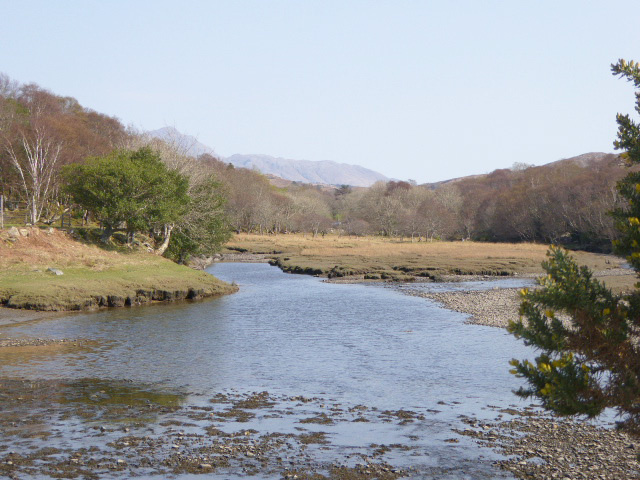 Arivegaig is primarily serviced by Acharacle a semi-rural village which is very well equipped with amenities to include a large, well-stocked and licensed grocery shop, bakery with cafÃ© attached, fish and chip shop, garage, internet coffee shop, a hotel and restaurants. 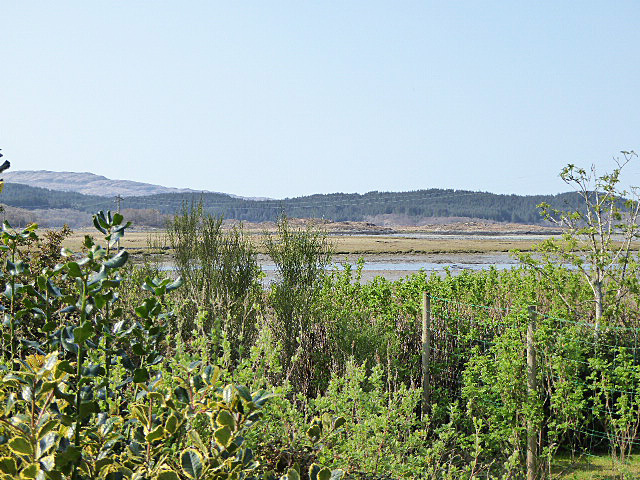 Acharacle has an established and vibrant community, many of whom support and engage in various activities at the local Community Hall to include regular church luncheons, coffee mornings, craft fairs/producers market and yoga. 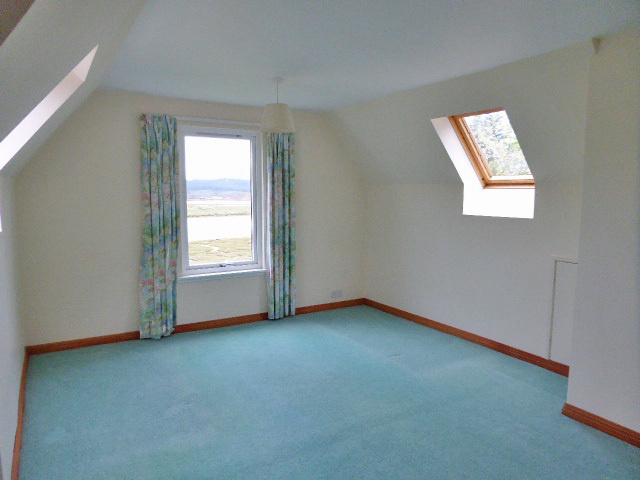 There is a well-respected and modern Eco-minimalism school, a nursery, several churches as well as bus connections to and from Fort William with connections to Glasgow and Inverness. DIRECTIONS: Spindrift, Arivegaig, Acharacle, PH36 4LE From Fort William head North on the A82, at the BP/Distillery roundabout turn left onto the A830, continue through Glenfinnan until reaching the Lochailort junction and turn left onto the A861 passing through Roshven and Glenuig heading towards Acharacle. Cross over River Shiel Bridge, following signs for Acharacle, turn right just before Acharacle Church onto the B8044 following signs for Kentra / Arivegaig, continue for approx. 1.5 miles, crossing the small bridge and continue straight ahead. The car park is not immediately visible but continue right to the very end of the road (over the hump), Spindrift is the 1st right. 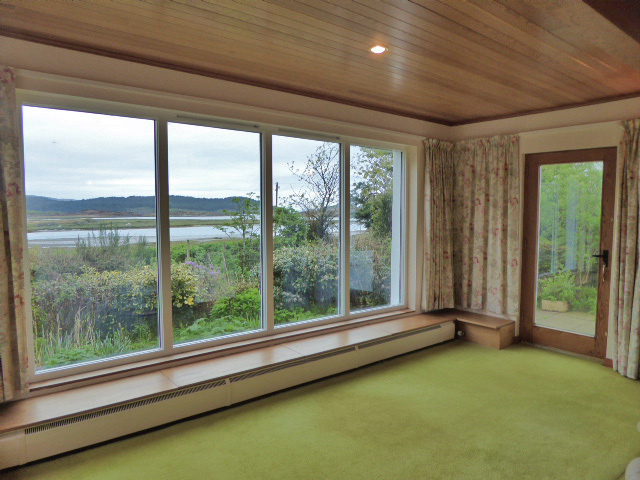 LOUNGE: 6.19m x 7.89m (20'04" x 25'10") (at longest x widest points) A feature of the room are the full height windows which provide stunning views over Kentra Bay. 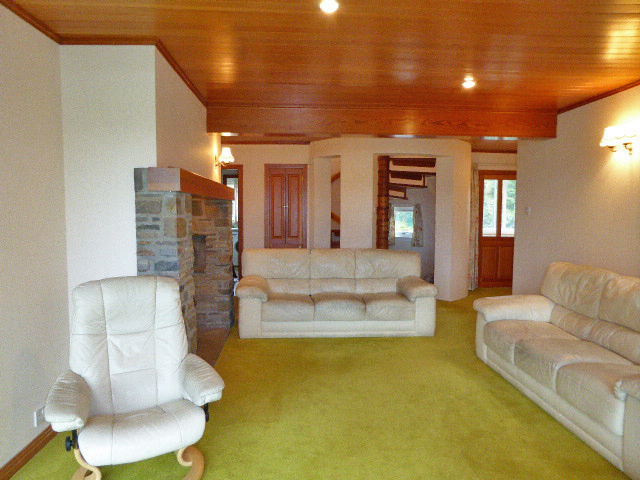 Lovely multi fuel stove with brick surround. DINING AREA: 4.73m x 2.93m (15'06" x 9'07") (at longest x widest points) Situated off the living area with access via French style doors to the kitchen. FITTED KITCHEN: 4.26m x 3.52m (13'11" x 11'06") (at longest x widest points) UTILITY: 2.90m x 2.39m (9'06" x 7'10") Spacious utility with coordinated kitchen units, additional sink and drainer. WALK IN PANTRY: 1.80m x 1.46m (5'10" x 4'09") Shelving and built in storage, heated towel rail. CLOAK ROOM / W.C: 1.89m x 1.79m (6'02" x 5'10") Built in airing cupboard with shelving. 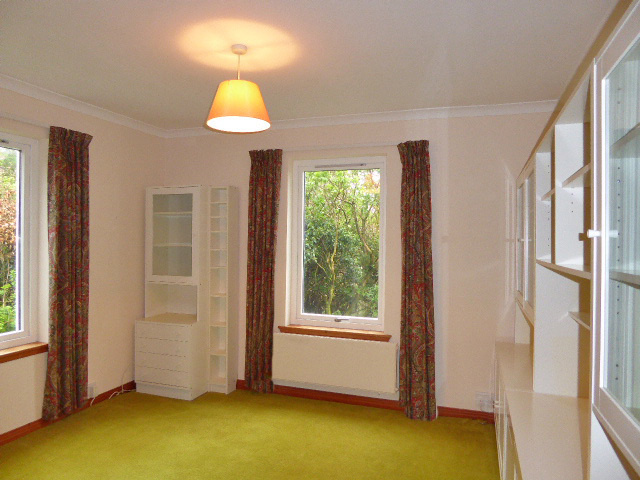 BEDROOM 1 (ground floor) (en-suite bathroom): 3.57m x 3.46m (11'08" x 11'04") Previously used as a spacious study, built in cupboard with lighting and shelving to house PC/laptop. 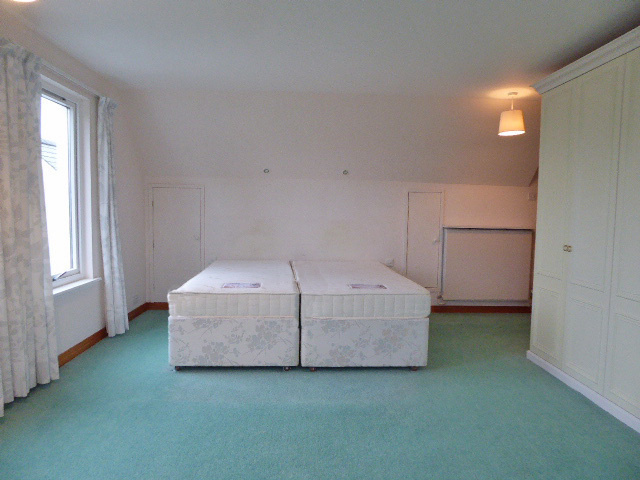 Fitted wardrobes included in the sale price. 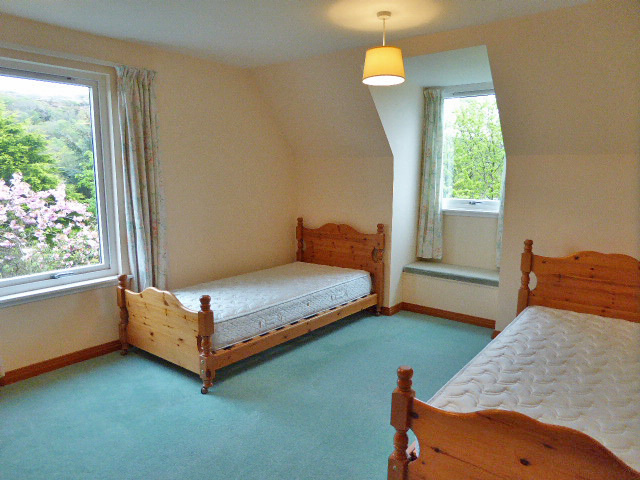 BEDROOM 1: (en-suite): 2.25m x 1.97m (7'04" x 6'05") FIRST FLOOR: Access via a beautiful turret style, wooden staircase with open tread stairs and handrail. There are windows to the turret which provide plenty of natural daylight to the stairs and landing where there are 3 large store cupboards. 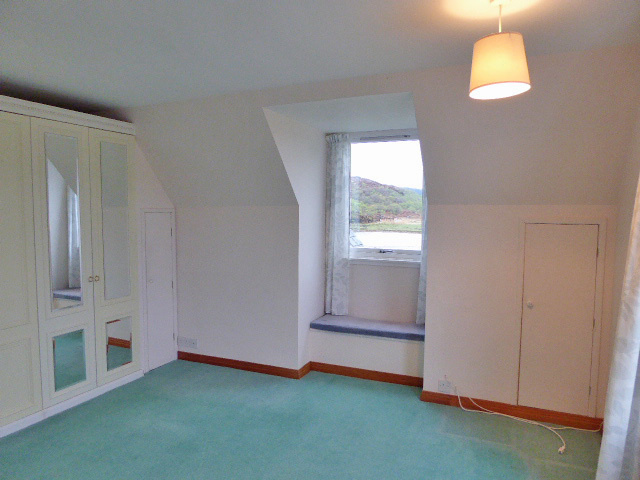 BEDROOM 2 (en-suite bathroom): 5.47m x 4.78m (17'11" x 15'08") (into recess) Triple aspect windows and storage window seat. BEDROOM 2: 2.62m x 2.30m (8'07" x 7'06") (at longest x widest points) BEDROOM 3: 4.74m x 3.55m (15'06" x 11'07") Dual aspect windows, two double doors built in wardrobes. BEDROOM 4: 5.32m x 4.79m (17'05" x 15'08") (at longest x widest points) FAMILY BATHROOM: 2.93m x 1.74m (9'07" x 5'08") Large sliding doors storage cupboard. 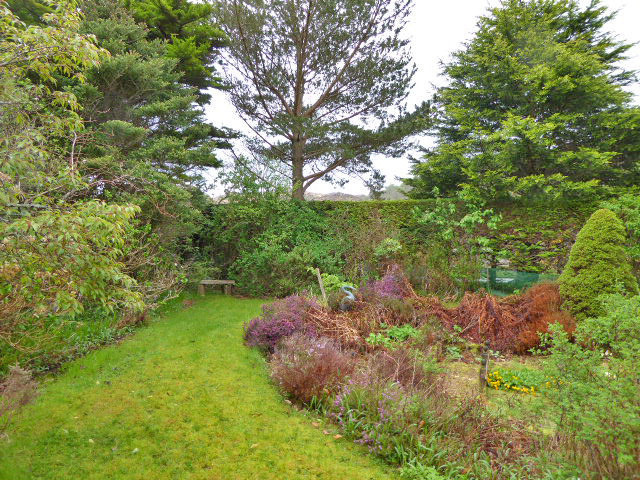 EXTERNALLY This delightful property has well-tended garden grounds which are neatly kept and have a variety of small trees, to include fruit and cane, shrubs and flowers. A pergola and path lead to the centre of the garden which is laid to lawn. Throughout the grounds are secluded seating areas, one overlooks the garden pond where and you can sit and enjoy the grounds and wildlife it occupies. A long gravel driveway gives access to a double one and a half storey, detached garage with private entry door and electric roller doors. There is lighting, power points and stepped access to a floored area currently used as a work studio. 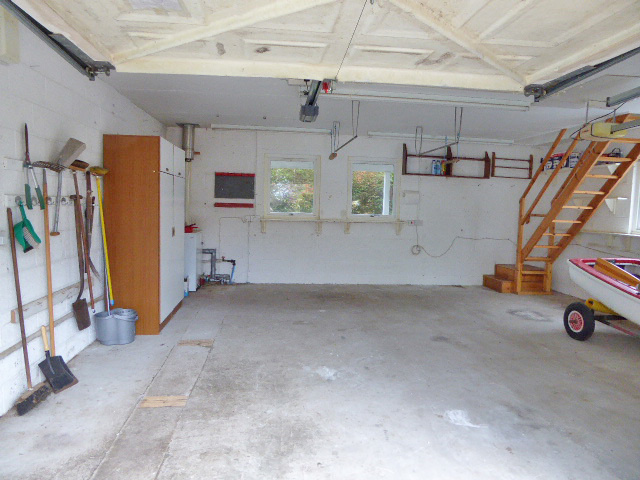 With the necessary and relevant planning permissions it may be possible to convert the garage for additional independent living accommodation. To the side of the garage are two large, storage cupboards, a wood store and a detached sun-bubble style greenhouse.